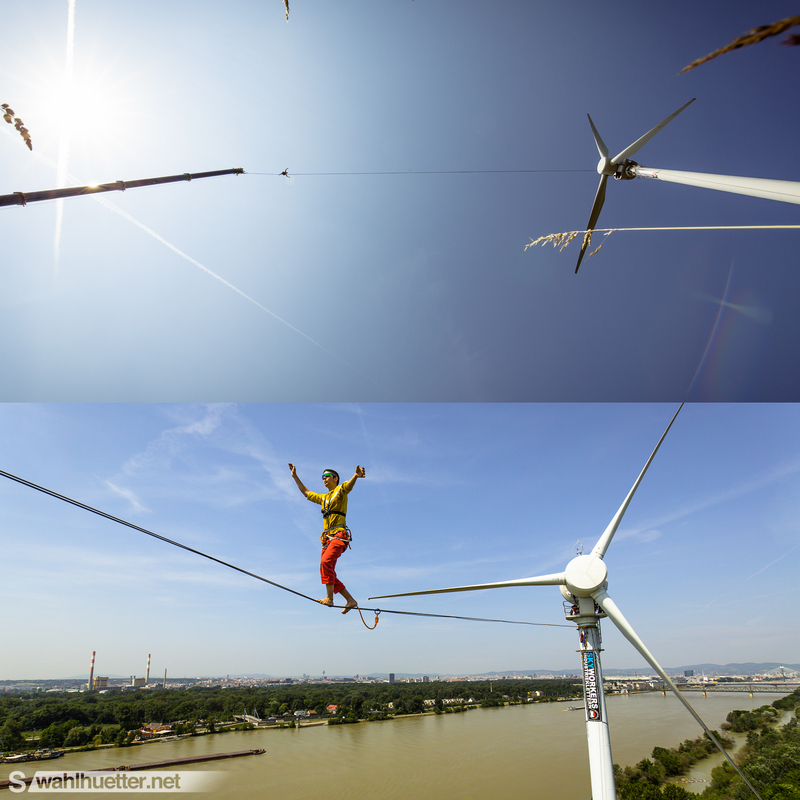 Tagged Adventure, Austria, Highline, highlining, outdoor, Slackline, slacklining, Urban Exploration. 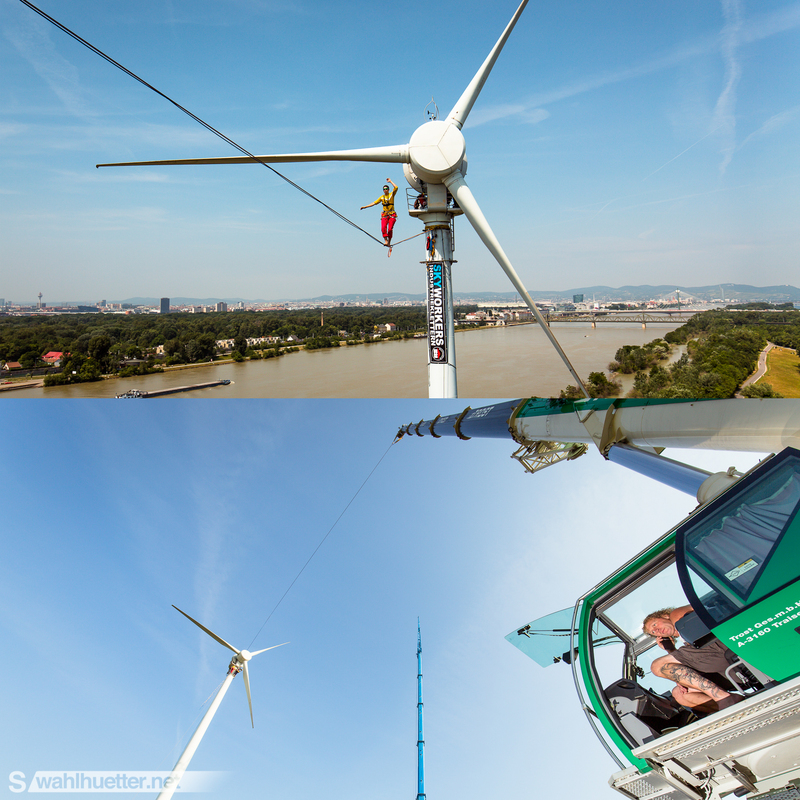 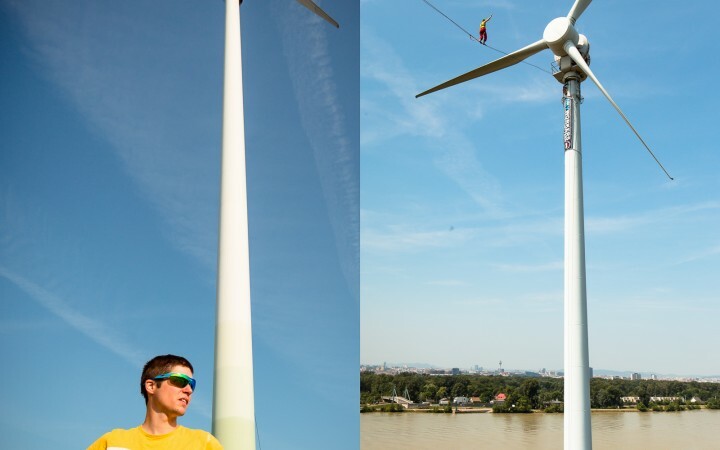 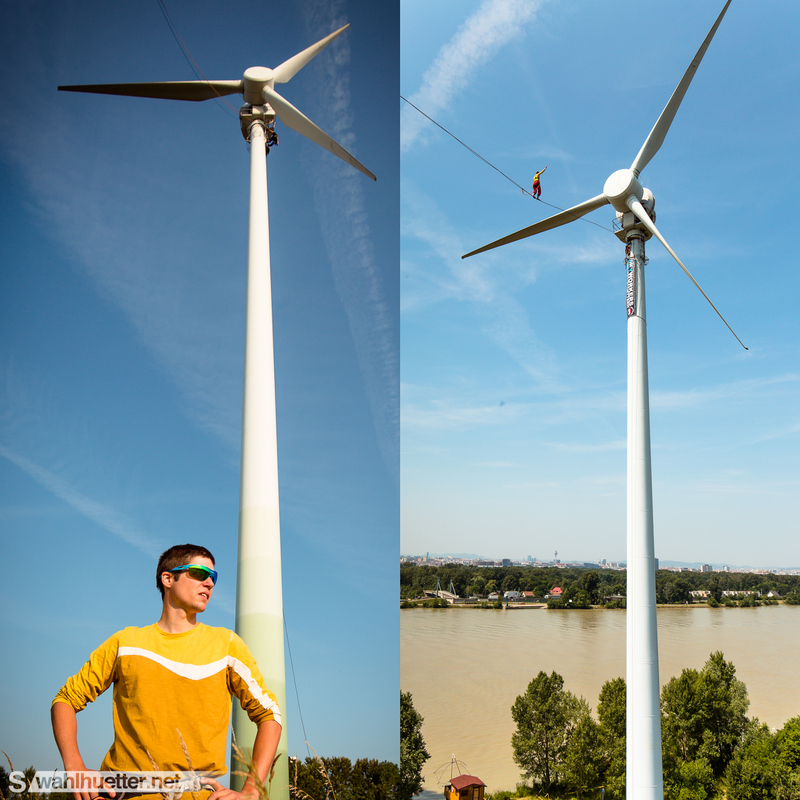 Peter Auer is walking the first wind turbine highline in the world. 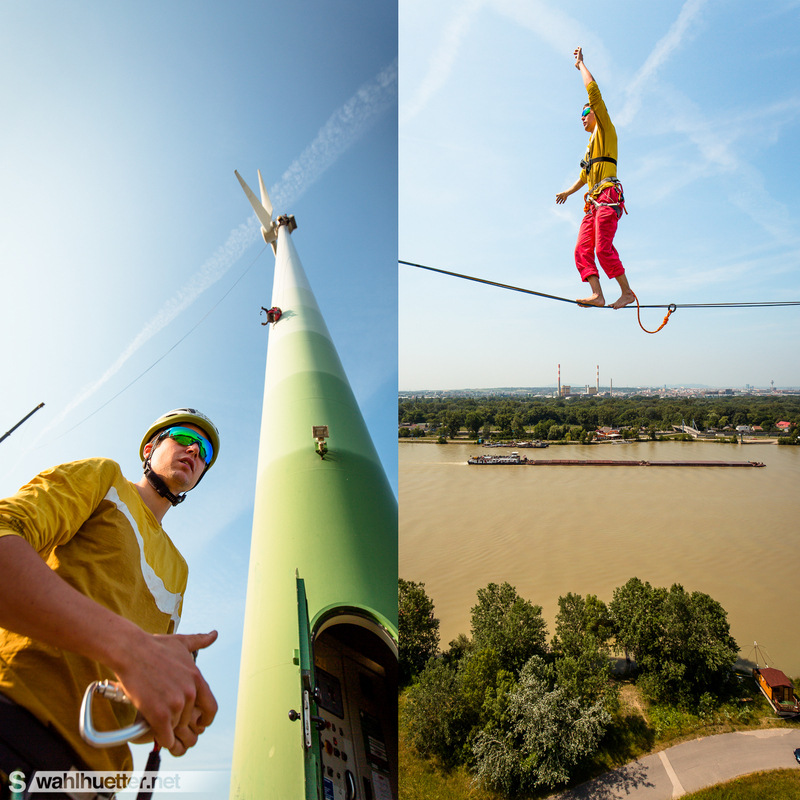 The 50m line was established at the Donauinsel in Vienna, Austria.